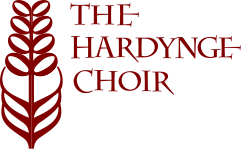 This page lists a number of websites offering a variety of rehearsal tracks for the music Hardynge Choir will be singing in upcoming concerts. These sites are not listed in any particular order. This site gives a complete set of Midi Files for this Work. You can download and save the tracks to your computer and can play them without having to be online. The site recommends that initially, the singer should learn their part using the first two levels, and then to test their knowledge of the music by singing over the third-level audio track. This site allows you to listen to a synthesised track of each movement in your voice part, but you have to be online to listen to them.